Good news, gamers! AMD just launched Radeon Software Crimson for both Windows and Linux. The Windows drivers saw some serious improvements and contain a slick new control panel. But despite promises of performance improvements for games on Linux, little has changed on open-source operating systems. These are the same old Linux drivers with some new branding. 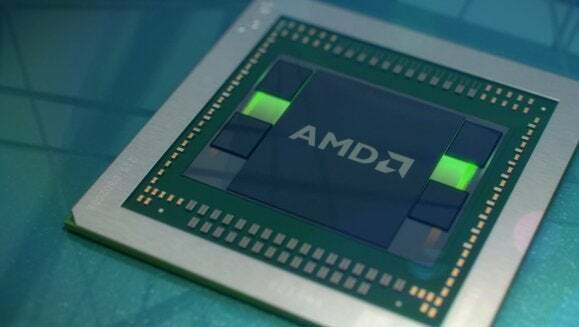 A slide from an AMD presentation promised some serious Linux performance improvements. AMD touted performance boosts of 112 percent to 155 percent for Bioshock Infinite, Total War, Portal 2, and Dota 2. AMD's claimed Linux performance gains with Radeon Software Crimson. Ouch. This isn’t the driver update Linux gamers were hoping for. Windows gamers get a new Radeon Settings interface along with Radeon Software Crimson. This interface is actually written in the cross-platform QT toolkit, so there was some speculation that it could also arrive on Linux. Alas, while Radeon Settings for Linux may arrive one day in the future, it hasn’t yet. Radeon Software Crimson's new Radeon Settings interface for Windows hasn't landed on Linux yet. This isn’t a huge surprise. After all, although Nvidia’s Linux drivers are excellent, Nvidia’s Linux control panel isn’t anywhere near as slick as the GeForce Experience software on Windows. This is really just a minor version bump on Linux. The biggest change here is that this version of the Radeon driver now builds against newer Linux 4.x kernels. As on Windows, the Radeon 5000 and 6000 series are no longer supported by this new driver. The mostly unhelpful release notes also indicate that a few minor bugs with glxgears stuttering and occasional mouse cursor corruption were fixed. While Radeon Software Crimson may be a huge change on Windows, all that looks changed in the Linux side is branding. We’re still waiting for AMD’s promised new driver architecture on Linux.